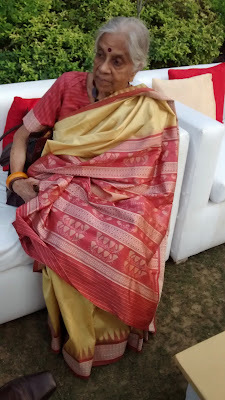 Dr. S. Anandalakshmy, my dear teacher, friend, and life-long mentor, passed away on the 13th March, 2019. This month full of loss, of absence. No messages on WhatsApp, no mails. Acceptance, too: Life is finite. After dropping the spouse at the airport. Kalyan and I sharing our diabetic indiscretions! 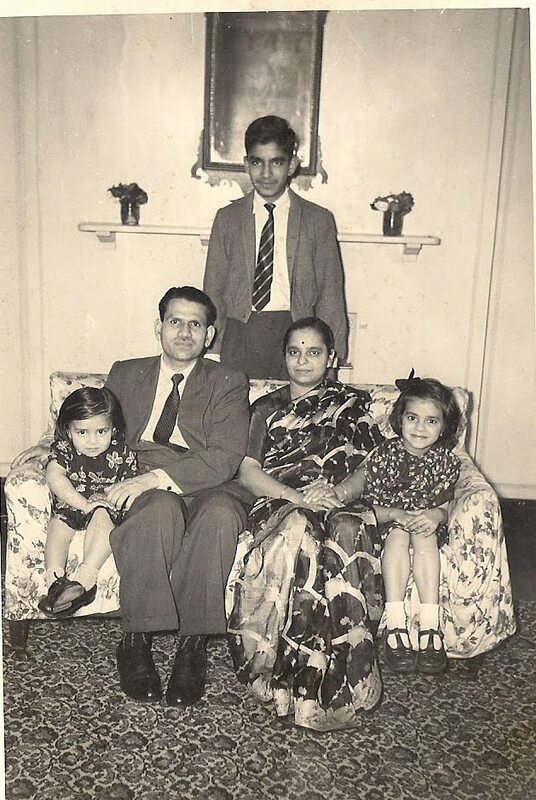 In Kochi and Kolkata (once with Moni). And was blessed to meet Amma. ( from Kochi, for a wedding, with my daughter’s friend). And to so many more. I hope she knew how much I loved and admired her. With her uncommon good sense and wisdom. while providing a supporting hand from within. and for so very many others. in my life for nearly forty seven years! A year ago, on this day, I had two events to attend. 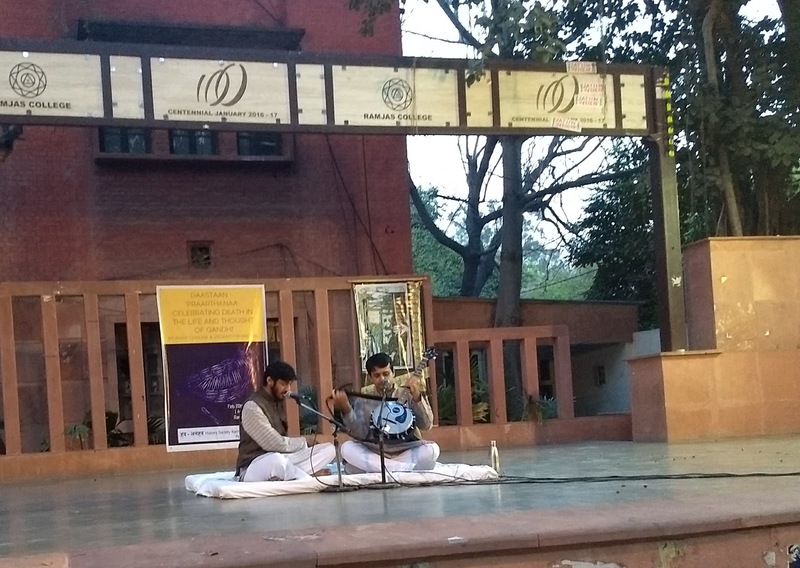 My son Anand was having the first public talk of his year's sabbatical, at IIT Delhi, about his book Jinnealogy: Time, Islam, And Ecological Thought in the Medieval Ruins of Delhi. It's an immensely fascinating subject, and his audience was soon deeply engrossed. Anand's talk started at 3 p.m., but we both knew I couldn't attend the full session if I was to reach Ramjas College in time for Ankit Chadha's newest offering. I greeted Vedanth, who is a singer and musician par excellence. Ankit and I had a brief conversation. For the first time I asked him about his family. His father wasn't keeping well, so Ankit was planning to travel less, after meeting his present commitments. That same night they were catching a train to Bhopal (or was it Indore? ), and in late March were performing in Bangalore. In April he had several performances on the East coast of the USA. I told him that Anand and family were around, and he said that he hoped to meet him this year. There were many people at the venue who wanted to meet him, and soon it was time for the performance. It was an open stage, with tall trees around. There were some traffic sounds, but they could not muffle the power of the narrative. In an interview with The Indian Express, Ankit speaks at length about Praarthanaa. 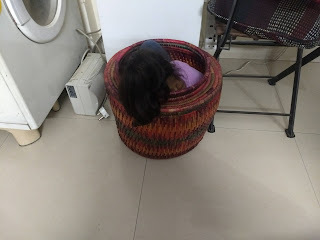 Kar le singaar chatur albeli. (I wish I had Vedanth's version to share with you). When I am deeply moved by a performance, I get goosebumps. Many a time that evening, I had goosebumps. I had always had great respect for Ankit's dedication to his work and the depth of his research, as well as the brilliance of his performances. That evening, I recognised him as a truly evolved soul, 'bahut hi pahuncha hua'. I remember also a moment of fear, that he had come too close to Death for Death's comfort. I brushed that fear aside, and went to congratulate him on this absolutely scintillating, extremely moving work. As an elder, my heart was full of blessings for him, and as a seeker, I felt that I needed his blessings. For me, that day, he had become a wise sage, a guru. The RE used to be skinny. Extremely so. For a very long time into our married years together. That he was a heavy smoker probably contributed to the skinniness. Circumstances forced him to stop smoking, and we had a man who actually had an appetite. Waist sizes went up, slowly, and after many years of abstaining from all forms of alcohol, beer was rediscovered. 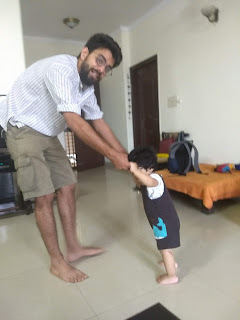 Retirement and grandfatherhood found our erstwhile skinny man approaching my size and weight, (although I remain the heavyweight champ in our house), and now we are a comfortably matched Dadu Bear and Dadi Bear. 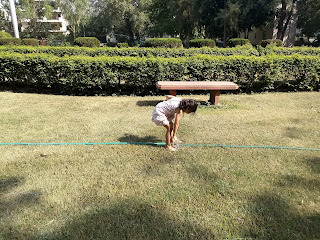 Last year we went with our younger daughter and older granddaughter on a road trip to Agra. Much fun was had, but even more fun happened at bedtime, when Grandpa realized that he had forgotten to pack his pyjamas. The four of us were sharing a large room which had a huge double bed for grandparents and grandchild, and a curtained alcove with a single bed for our daughter, (and one huge bathroom). Modesty was required! It was too late to go and buy a pair of pyjamas. Our daughter had a brainwave: the RE could wear my spare palazzos! So our man retired for the night in comfortable beige cotton loose pyjamas, which just happened to have sequins and pintucks on the hem! I'd spent several days last week worrying about the whereabouts of my blue Levi jeans. I thought they'd been laundered, but I couldn't find them anywhere. I checked the hooks on every bedroom and bathroom door. I checked the laundry basket. I even checked the RE's wardrobe, but no. His size 36" Levi jeans were on their hanger. But wait a second, he'd been wearing blue jeans the last couple of days too. ( He owns several pairs in various stages of wear and tear). I checked the pair draped over the chair in our bedroom. They were a size 38. They seemed to be mine. I asked the spouse if they hadn't felt odd when he wore them. (I had obviously hung them up in his wardrobe). The poor man has been suffering from sciatica for a while now, and thought that he also had some mysterious major ailment which was causing this sudden weight loss, as the jeans were obviously much too loose for him!!!!! I was very glad to reassure him that such was not the case, and tried on the jeans to demonstrate to both of us that all was well! We were all at lunch at my older daughter's place when the jean story was shared. My younger daughter, extremely loyal to the RE, said that I also had to post about all of his clothes that I have pinched (I'd say borrowed) over the years. Yes, but I insist that I only borrow/pinch clothes that he doesn't wear! In the interest of accuracy I concede that I have (sort of) pinched his black fleece jacket, and his black Levi's crew neck pullover, which he only wore the year we bought it. (I bought a similar one in navy blue a year later). The man is still thinner than I am, so the only other garments of his that I can pinch (and do) are his thick socks, a great comfort in winter. Full disclosure! 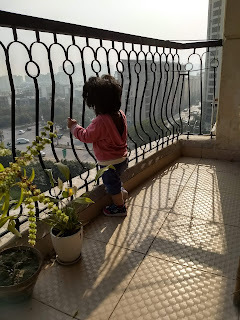 on her very first visit to our home. reminiscent of her father at that age. for a while, at least! at their place, hoping that she wasn't napping! and chicken momos at Mainland China. and other characters we didn't know about. 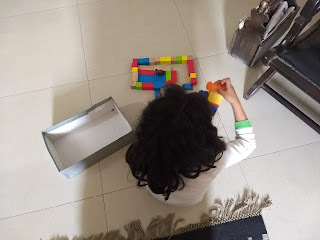 and found her to be most creative with blocks. Waking up to questions about how do fish sleep? Google was my best friend for months! especially around their mirror top centre table. was endangered by her grabby little hands. for our avid little puppy. 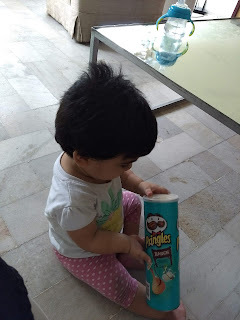 so this little person had to grab them too, if she could. and lots of babbling, at full volume! as Big Sister would say. as fast as those little legs could carry her. that belonged to the little princesses. A mournful "I've never been to Australia/Sri Lanka/Africa"